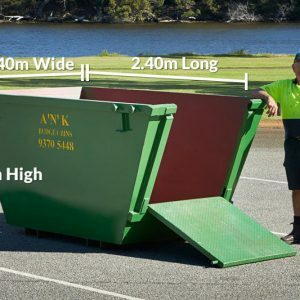 When you need a 10 cubic metre skip bin, turn to A’n’K Budget Bins. 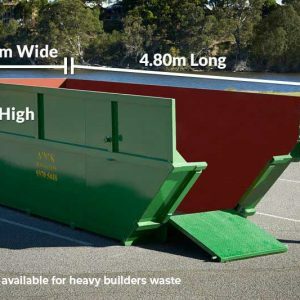 Our 10m3 skip bins are ideal for construction companies that handle bigger residential, as well as commercial projects. 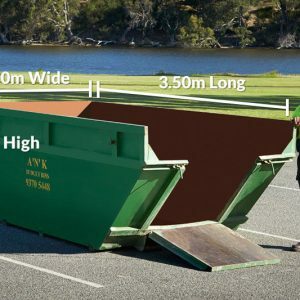 If you are building a new home, adding an extension or you’re disposing of items from a smaller deceased estate, this skip bin would suffice. 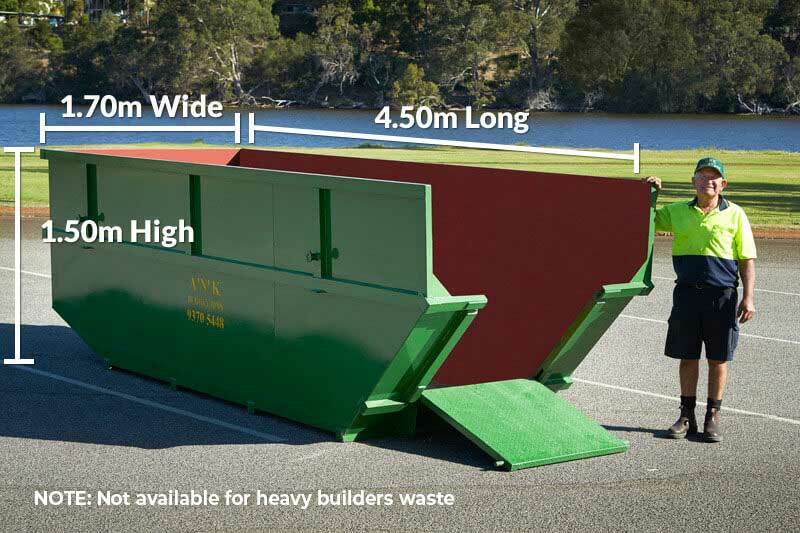 If properly and carefully loaded, this skip bin can hold ten trailers’ worth of rubbish. It also has the same load capacity as 40 wheelie bins. You can use it for old kitchen counters, discarded concrete, wood, insulation, rubble, bricks, nails and electrical waste. On the other hand, please note that we do not allow our clients to use our bins for hazardous items such as paint tins (empty or filled); asbestos/fibro cement sheeting; used or unused oil; car tyres and tree stumps. Please contact us if you’re planning to make a special arrangement for spring mattresses. 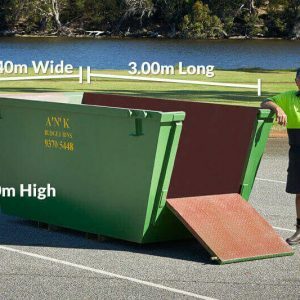 Do note that our skip bins require at least 3 metres wide of driveway access and at least 4 metres of height clearance.